Secondary treatment is designed to substantially degrade the biological content of a waste stream. Ecologix offers a unique line of biological processes that conserve space and energy, while dramatically reducing operation costs. 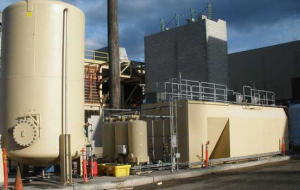 From large-scale biological reactor systems to mobile, package aeration solutions, Ecologix can provide the secondary treatment solution to fit your project needs. Our moving bed biofilm reactor is a treatment system ideally suited to treatment of high strength industrial and domestic wastewater for both small and large flows. The system utilizes biofilm carriers or biochips which provide a dramatically increased surface area to support the growth of bacteria within its cells. This in turn provides a much higher level or density of bacteria and resultant biodegradation all within a smaller footprint. Cost effective treatment can be achieved due to not only the the smaller footpirnt and increased productivity but also due to the relatively low maintenance required for such a system where the biochips are able to self maintain their optimal level of productivity. 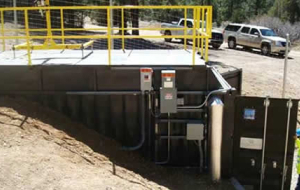 Perfect for the needs of smaller populations, communities, camps, resorts & similar sized applications, the Zeo-Clear containerized biological wastewater treatment solution offers incredible opportunities for improvement and cost savings in both new and existing treatment plants. The Zeo-Clear system offers both secondary and tertiary wastewater treatment together in one stage with the dosing of selected natural zeolites. This new solution provides outstanding results in quality and cost savings. 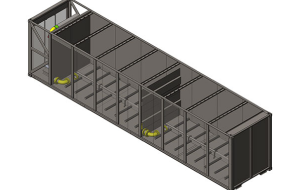 The Ecologix Bio-Clear system provides a modular approach to the treatment of wastewater. It’s compact design, ease of operation, and exceptional track record deliver extraordinary results – all packaged together in a system suited for any biological treatment application. Integrated Bio Reactor (IBR) . 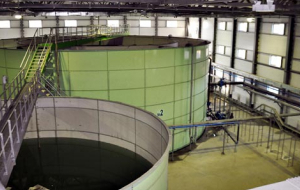 The Integrated Bio Reactor (IBR) is the next generation in wastewater treatment. Suitable for new plants or retrofitting an existing plant, the IBR outweighs the competition by lowering capital and O/M costs, demanding a smaller footprint (containerized), faster installation, integrated wireless remote monitoring and control.